Dying your hair is one of the quickest and easiest ways to change your look, and with an almost limitless choice of colors available, it's never been simpler to get the exact look you want. If you've dyed your hair and decided that a color isn't for you however, you may be wondering how to remove it. Clarifying shampoo is designed to be strong enough to remove buildups of styling products and oil, and it is this trait that allows it to remove hair dye. Using a clarifying shampoo in place of your regular shampoo will help to fade hair dye much quicker than would otherwise be possible with regular shampoos. Because of this, you can use a clarifying shampoo to gradually lighten hair that has been dyed dark. This is most useful when your color has turned out a little on the dark side and you just want to soften it. The main drawback to clarifying shampoo is that the shampoo is harsher on hair than other shampoos, and can't remove the bulk of color present in dyed hair. If you use a clarifying shampoo, it should only be used to subtly fade a hair color that is too dark. You will also need to use ample amounts of conditioner to counteract the hair drying effect that the clarifying shampoo has. The color wheel - colors opposite to each other will neutralize each other. Hair toner is useful if you want to remove bright colors like red or purple, or if you need to remove excessive ash tones from blonde hair. 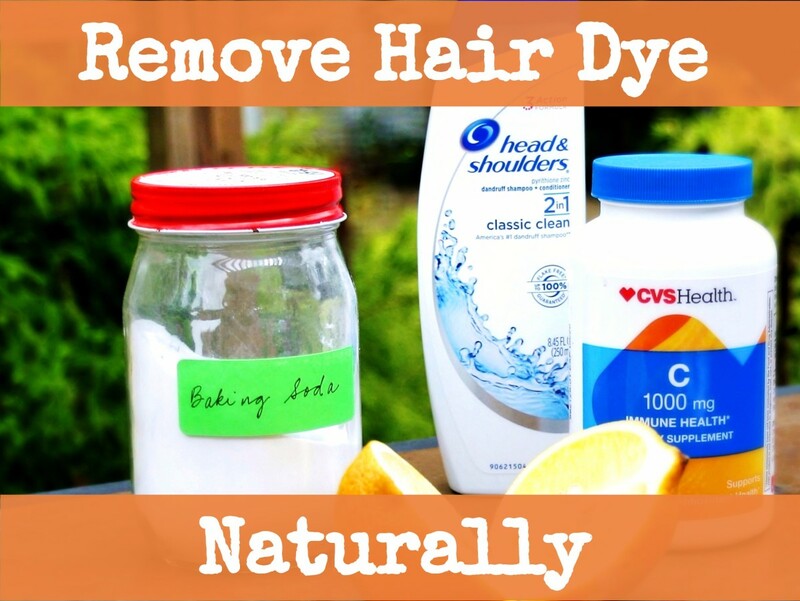 It can't remove dark hair dye or dye your hair darker, but it can correct tones that you don't like or wish to remove. To use toner to correct unwanted tones in your hair, you'll need to determine what those tones are. In the case of blonde hair that has been over-processed, these tones will often be green, blue, violet, or gray in appearance. 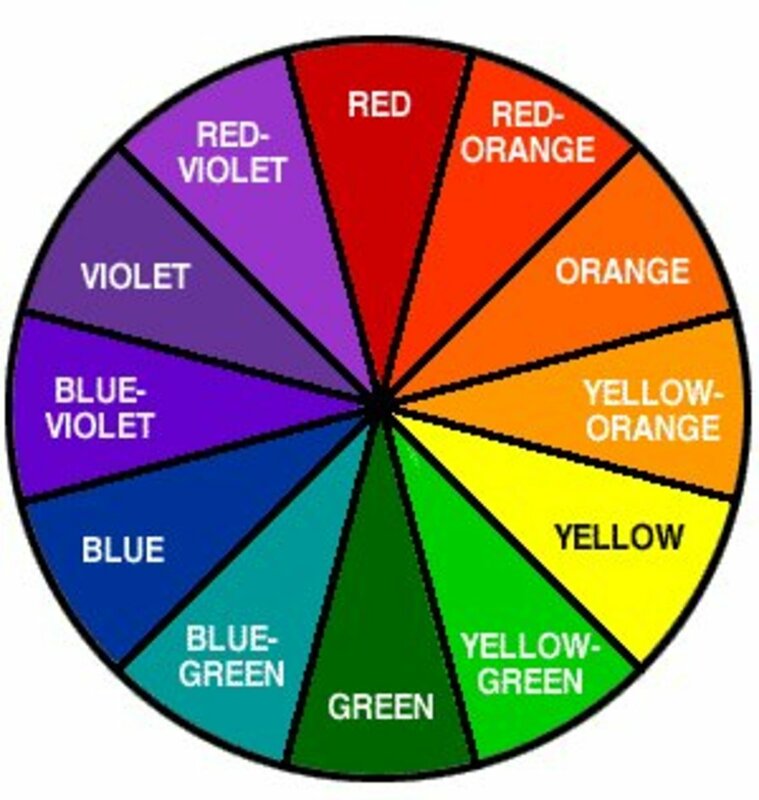 Once you've determined what tone you're trying to combat, you can tone it out by using a color wheel. Colors on the wheel that are directly opposite to each other are complementary tones and will neutralize each other. In this sense, if you wanted to remove ash tones out of your hair, you would use a copper or gold tone depending on whether it was blue or violet ash used for the original color. This method can also be used on bright red or purple hair if you want to tone it back to a natural shade but don't want to lighten or darken your hair. Red hair can be neutralized with the use of green based ash dye, and purple can be neutralized with a gold tone. For hair that is a combination of red and purple, red and copper, or purple and violet, you have to mix a blend of appropriate complementary tones to neutralize it completely. For example, mahogany hair is a combination of red and violet, and you need to use a green-gold toner to drab it. Bleach is best used to remove hair dye for hair that has suffered minimal chemical damage. Hair that has been relaxed, permed, dyed repeatedly, or bleached previously should not be bleached. If your hair is still in strong and healthy condition despite chemical treatments, you are still able to bleach it, but you will need to be careful. Being sensible is the best way to keep your hair healthy when you remove hair dye from it. 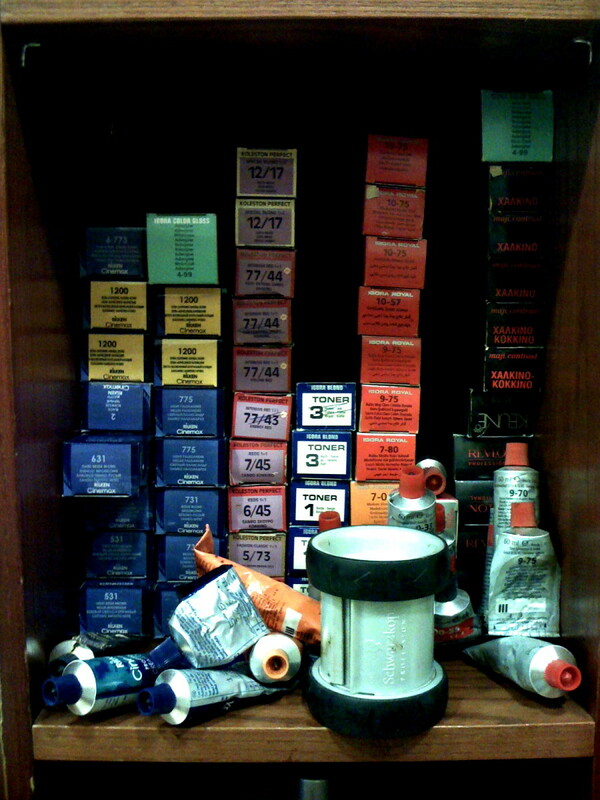 When deciding which method of bleaching you should use, you need to ask yourself how much color you want to remove. If you only need to remove 1 - 2 levels, you can achieve this with a bleach wash usually, and this method will be less damaging to the hair. If you need more lift, a full bleach is required for reliable results. To perform a bleach wash, prepare bleach powder as recommended by the brand you've chosen to use and then add an equal quantity of shampoo. The volume of developer can be anything from 10 vol to 30 vol depending on the amount of lift needed and the sensitivity of your scalp. Apply the bleach wash to damp hair and leave it for up to 20 minutes before washing it out. A full bleach is different in that it does not include the shampoo, and should be applied to dry hair for best results. To use this method, prepare bleach powder using 20 vol developer and apply it to your hair in sections. The application is easiest if you divide your hair into quadrants by parting the hair from forehead to the back of your neck, and then again from ear to ear, working on one quadrant at a time until your hair is completely covered. If your hair is in good condition, your scalp isn't too sensitive, and you need the added lift, you can use 30 vol developer for extra lightening power if the brand being used allows this. Leave the bleach for up to 45 minutes before washing it out. Regardless of what method of bleaching you choose to use, it is necessary to tone your hair to neutralize the warm tones that will show up when you remove dark hair dye. To do this, apply an ash dye that is 1 level lighter than your hair currently is and rinse when it reaches a tone that you are satisfied with. When mixed and applied to hair, Goldwell color remover will strip out permanent hair dye without causing damage. Color remover is the one of the most effective and least damaging ways to remove hair dye, and should be considered as the first line of treatment when you want to remove permanent dye. It only works on permanent dye though, so it can't be used on semi-permanent or temporary colors. For color that isn't permanent, you will need to either wash it until it fades out, or use a bleach bath or full bleach to lift it out and toner to neutralize any remaining color. Permanent dye becomes permanent as a result of the oxidation produced by the developer mixed into the dye. 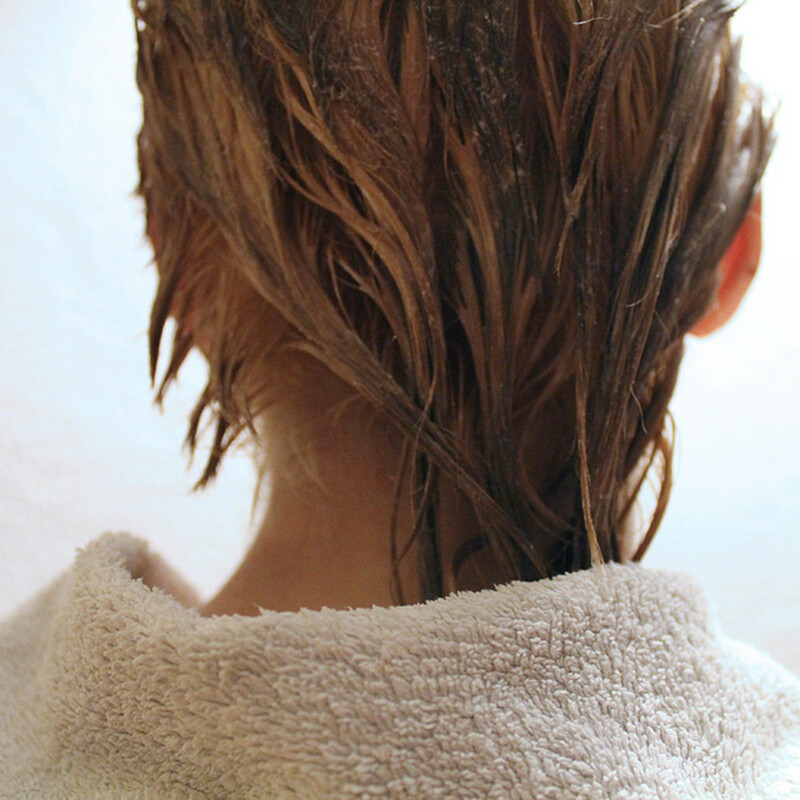 As a chemical reaction is required to do this, dye remover is able to remove hair dye by reversing this reaction to allow the permanent color molecules to be washed back out of the hair. It is best used on hair that has only been dyed once, though can be effective on hair that is coated with a couple of dyes. Whether it will remove all the dye or only part of it depends on a combination of how much dye you've used on your hair, and how dark that dye is. Dye remover is packaged as two separate solutions: an acid solution and a sulfurous reducing agent. To use it to remove hair dye, you need to mix both solutions together to activate the chemical reaction and then apply it quickly to your hair. Dye remover must be applied immediately after it is mixed together, because the chemical reaction taking place will slow down and eventually cease after time, making it much less effective if it has sat for a few minutes before application. Leave the dye remover in your hair for about 25 minutes. You will notice significant changes taking place in this short time period, and the dye remover should be washed out as soon as this reaction begins to slow down. You will need to shampoo your hair with clarifying shampoo a few times to ensure you've removed as much of the reduced color as possible, because any color that is left can be oxidized again in air and darken back up. After two shampoos, this oxidation is negligible because you can be fairly sure you've removed the majority of the reduced dye. After removing color with dye remover, the worst case scenario is that you are lighter than before and the dye remover hasn't removed all of the hair dye. The best case scenario is that all of the hair dye has been removed and you have returned to the lightest color you have previously been. Either way, because dye remover doesn't damage your hair, any removal is good and will enable bleach or other methods to work more effectively and in less time, thus cutting down the damage from bleaching. Like with bleach, when you remove dark hair dye with color remover, you can notice warm tones appearing. These should be toned to reach the desired shade and finish the removal process. The toner used for this should be at least 2 levels lighter because it will produce a darker result on hair that has been stripped with a remover. 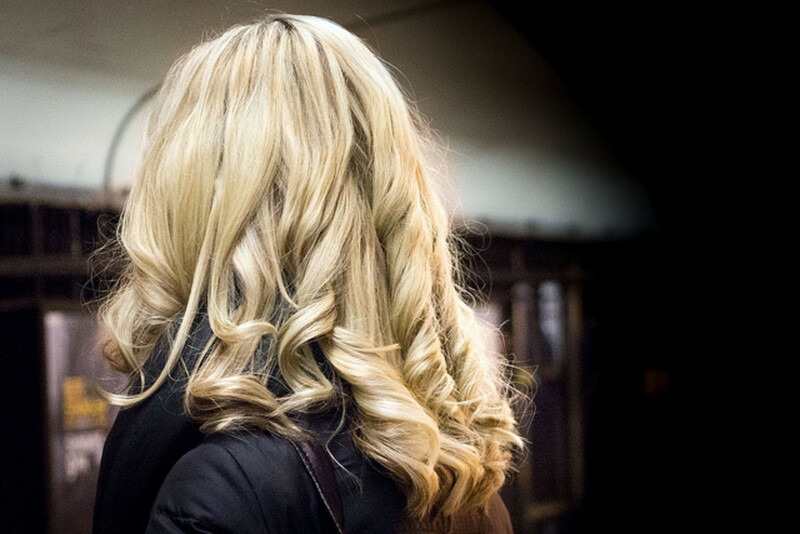 Do you dream of blonde hair? If you have dark hair, you need to use bleach, and bleach needs to be used properly. Learn the tricks of the trade for stunning results. Dyed hair needs specialized care to keep it looking and feeling its best. Find out how to take care of dyed hair and maintain your new color. If the color you're trying to remove is blonde, you can't remove it technically because you arrived at the color by removing the natural pigment from your hair. In order to reverse hair lightening, your only option is to dye over it with a darker dye. This is easy and consists of applying the desired shade over your hair and allowing it to process. 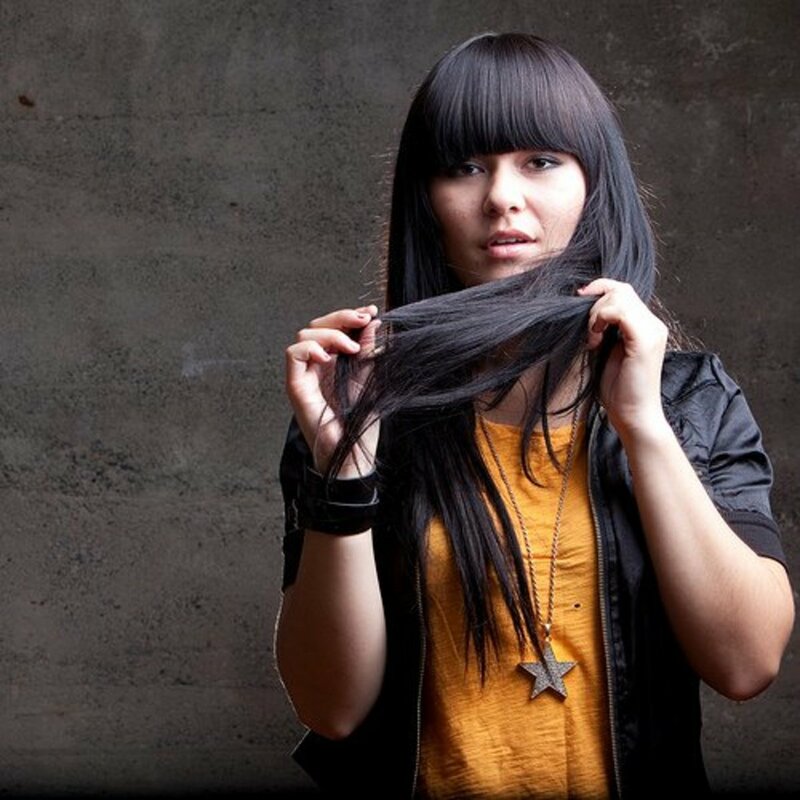 Hair is often porous after lightening, and this needs to be taken into account to avoid your color turning out darker than expected. If you use a shade that is 1 - 2 levels lighter than your desired shade, you can avoid this problem. Another problem to watch out for is dyeing over pale or ashy blondes with an ash brown or black shade. Because your blonde hair is devoid of copper and red pigment, you could end up with an unexpected result like green hair. To avoid this problem, fill your hair using a protein filler or demi-permanent dye prior to dyeing it darker. Oftentimes, the best method to remove hair dye is a combination of many of these techniques. In all cases, you should wait for the dye to fade as much as possible, and then color remover can be used to strip out as much dye as possible before resorting to bleach. Taking the less damaging method that will still give you the results you seek, will keep your hair looking and feeling healthy. Feeling great about your hair is the most important thing. Yesterday I dyed my hair a dark brown/purple colour but don't like it. What colour is to be expected if I bleach it?!! Or what is the best way to lighten the colour without totally removing all the colour. ( It had no dyed colouring before yesterday). Old chocolate brown foils that will not let go even after, stripper, remover, Vitimin C, and a coupke rounds of bleach by my hair dresser. Very frustrating i wanted to do silver grey but cant because this dark blonde/brown just hangs sround. What can i do? I have red copper color dyed on my crown. From my ears down I told the stylist I don’t like violet in my hair. Yes she put red/violet for my bottom. How do i remove the red/violet color so I can color my hair a beautiful bright red color. I am 90% gray and white but have dyed my hair all my life. I use aveda color, dark brown with gold tones. Permanent and demi color. I would like to remove all the color and see where I am with the gray and white and then decide to color again or let it go. My stylist said my only option is bleaching of which I disagree. I don't want to use chemicals (hence aveda products) if I can avoid them. Any suggestions for me would be greatly appreciated. I dyed my hair light brown last year and I now want to go back to my naturally dark brown almost black hair what would you suggest? Hi ... What is the best techinique to remove black permanent hair dye ? Can you use foil with Color Zap?? No one seems to know the answer to this. Thank you so much!! if my hair has been bleached and toned multiple times in the past few months and I wanted to use semipermanent blue dye, would it be safe to wash the semi permanent out with toner later? I have highlighted my hair with honey blonde...wich I didn't like at all and immediately i coloured my hair with black to tone down the highlighted one...would like to know that the black colour will remain for a long or it will fade out quickly.....if so then the previous highlighted colour done will be visible again? How to take permanent color out of red hair to go lighter? I used Feria Smokey Lavender on my golden blonde hair and it turned out dark reddish purple - nothing close to Smokey Lavender. It doesn't even have a hint of the silver/gray tones that I expected. I was going for something similar to the pastel purple you see in profile pic which I achieved using Wella Color Charm but since I live kind of far from the beauty supply stores I decided to go for the box dye. My hair is quite a bit darker than before and almost Auburn. I just want my hair to compliment my skin tone at this point. Any suggestions? I recently dyed my hair a dark blue that came out extremely bright and I need to remove it quickly. Even if it's just faded enough to dye a dark brown which is my normal hair colour or even black is fine but how do I get to that? My natural hair color is white and I have been dying it medium blond for years. I want to go back to white. What do you recommend? I have permanent hair color build up 3/4 shaft downward of Dark ash blonde Ion but used salon developer. 1st quest, is why the ion color which is Dark ash did not cover my virgin grays & light brown virgin hair? I saturated my hair 1st my one inch new growth like always by applying with a brush & bowel. Remain on forty minutes & rinse out & applied my usual repair Keritan conditioner. Hand towel dry. Applied ten minutes hair dyer & to my disappointment my roots did not allow deposit. I admit I used the liquid less expensive developer 20 . But this is the first in years my hair did not take hair dye. 2)quest. I allowed the ash dark blonde dye to contact previous dye hair of 5 weeks ago. And now it has taken on that dingy hair dye build up. Note I have used color oops hair color remover about 8months ago & every since then my hair is very pourous & to me rather dingy looking. I suppose this means I have damaged my hair although when I last went my hairstylist she encouraged to keep doing what I do to keep the shine I have. I am considering using shampoo lightening product to rid the build up & gradually wash away the build up. People seem to like my hair & often ask how I keep up with it. LoL aging stuff~manage is my answer. But I am very dissappointed with this almost blue green tint I see in 3/4 of the shaft of my hair down ward. I am not due for a hair cut until March. I once used to color my hair with reds which is my natural pigment when I spend time out doors a lot. But I am trying to avoid the reds now. Hi I need help. My natural hair is light silvery grey with a little dark brown. I decided to get purple hair which was beautiful when first done, now I want my grey back. My hairdresser removed the color as much as she could and I ended up with a very vibrant strawberry blond. I guess she toned it and now I am a sort of golden blond. She said I will have to go back and do again. Ugh. Can I buy a grey dye and put on this as blond is definetily not my color. HELP. I had medium blonde hair till the ends and it was roughly a level 9 yellow blonde, 'my hairdresser didn't fill the hair and put L'Oréal majreel over in a 6 and it went really dark and khaki, I used a clarifying shampoo to lighten it and applied a semi with a hint of red too counter act the khaki, I want to lighten it a little as it's a little to dark still but I don't want to be red, I want more of a natural level 7?? Any help would be gratefully recieved!! Help! Ok so I thought my hair had gone back to my natural dark brown hair. (From black) so I thought I would put a purple on it...now it's all patchy. Can I just put a black back on it? As the top of my heads purple and the rest is black. Obviously hadn't grown out! I have natural dark brown hair and have had it bleached blonde since January. I started doing the roots my self at home for the last 4-5 times. This has caused a platinum band 3 inches down the hair being about 2-3 inches in length. From this on it is light blonde with light brown streaks. I'm not sure how to balance this out with the platinum band. I have thought about trying to bleach parts of the bottom to lighten it up to blend with platinum band area. Will bleaching it all cause the already platinum to break? I use olaplex after my hair broke some in past applications. I dyed my hair permanently blonde but want to get it off my own hair color is a dark brown. How can I get it removed? Dye remover may shift more of the permanent dye, but given how long it has been since you dyed it, there's no guarantee here. In any case, it doesn't damage the hair and can be used with impunity to strip out as much dye as possible if it works. Unfortunately, the dye remover won't have any affect on the semi-permanent used as the filler, as this is direct dye and stains the hair. If cost isn't an issue, try the dye remover first. After that, you will need to bleach wash your hair to lift any stubborn colour. A weak bleach wash made from 10 or 20 vol developer should work well on any staining and help remove more of the permanent dye. Leave it for up to 30 minutes when applied and repeat every few weeks if required. Once you get it light enough to reach the shade you want, you can deal with the warm gingery tinge by toning it with ash. Because of the porosity of your hair, it'd be best to use a very light shade of ash for this so that it doesn't soak up too much colour again. I was a bleach blonde then decided to try something new. I put in a semi permanent red for a filler then added a permanent dark blonde color. It turned dark brown. Over a months time after washing it over and over its finally a lighter ginger brown with peekaboo blondes. How can I safely get this going at a faster rate, I want my blonde locks back. If it hasn't faded much, bleach wash it, then tone to neutralise any remaining red and follow up with a mix of neutral blonde and golden blonde shades to dye it back close to your natural colour. Eg, if your natural colour is dark blonde, use medium natural blonde and medium golden blonde as the dye shades. To neutralise the red tone, mix a very small amount of green and blue semi-permanent dyes into conditioner and apply this after shampooing your hair. Titrate the mixture to make it stronger or weaker as needed based on how it affects a small section of hair. This will result in a dingy greyish colour after toning, corrected by the final dye. The exact process depends on what your natural colour is. Basically, fill the hair to pre-pigment the highlights, then dye with neutral tone mixed with a small amount of what is closest to your natural shade to finish the colour. The filling process replaces the pigment that was removed during lightening. If you're familiar with how dark hair turns red, then orange, and eventually to yellow and finally to near-white during lightening, this process needs to be reversed to darken it back up. Now, the filler shade is based on the colour to be reached. Eg, yellow for level 8 (light blonde), orange for level 5 (light brown), red for dark brown or black. Levels in-between these examples are blends between. Eg, a medium brown requires an orange-red base. Use demi-permanent dye in the colour required, 1 - 2 levels lighter than the desired shade to fill. Depends a lot on whether the colour you want to remove is darker than the new colour you want to reach, or lighter. If darker, it needs to be stripped out to lighten it back to the new shade, then toned to neutralise any remaning green tone and produce the new colour. If lighter, it needs to be filled with the right pre-pigment for the level you want to reach, then dyed to produce the new shade on top of the filler. The dye used may need to be adjusted to neutralise any remaining green pigment that has persisted to this point. Another factor is whether the dye is temporary or permanent. Whilst I know of a handful of permanent green dyes available, it's highly likely that it is a semi-permanent dye used because these are more common. These dyes stain the hair and can be difficult to remove for this reason. Bleach won't completely lift them out and hair dye remover has no effect because this only works on permanent dye. In this case, the directions above will still work for going from darker to lighter and vice versa, but more toning is generally required to deal with the stained green pigment showing through. Finally, if you want to keep your hair about the level it is now, ie no lighter or darker, just not green anymore, bleach or bleach wash it 1 level to lift out some of the green, then tone to cancel out the rest. The tone will add pigment, meaning the lightening beforehand is required because it will darken your hair slightly in the process of neutralising the green. As the toner fades, this green had reappear more easily than if going to a new colour that is much lighter or darker. Keep if toned using toning shampoos / mousses etc as required until the stain has almost fully washed out over time and no longer seems to appear with fading. As for toning itself, this should be done by taking a neutral shade and adding either a red shade at the same level, or a small amount of red concentrate to this to counteract the green. You need to test this on a small area first and then titrate how much red pigment you've added in order to get the concentration correct and not just take it from green to red. Hi, I first highlighted my hair with golden color but it was too faint which looked white, so the very next day I ran back to the parlour and recolored my hair with cherry red highlights. Now the color is fading in mere 15days and few of highlights still look white. I am done with highlighting, I just want my original natural color, and not these white ones, how do I go back to my natural color???? PLEASE HELPP!!!! Hey. So I've had like a dark red dye (Ion's Color Brilliance Burgundy Brown) in my hair for about 2 months, and it's semi-permanent. I used it on my virgin hair. I'd like to go back to having my natural golden blonde hair (or as close as possible, no red pigments left). What would I do to get there? Hey! I've had blonde balayge hair with my natural root color (which is a light brown to dark blonde for about 4 years now. I haven't colored my hair dark in many years and decided it was time for a change. I wanted to change my hair to a darker hue just for the fall and winter months. I went out and bought a box of hair color called darkest brown. I also bought some of the unread color addictive from Sally's which helps prevent red and orange tones in brunette hair. I used all of this on my hair last night and my hair is pretty much black. I'm in complete shock! But hey, I was looking for a change and boy did I get it! What did I expect getting darkest brown?..lol. I originally wanted to go bronde but unfortunately, I don't have the money for that at the moment. I eventually want to go bronde possibly at home in the future if anyone has any tips for me. Anyways, I want to lighten my hair to a much lighter brown for now. Is there anyway I can wash it out and re dye it a lighter brown without bleach and still get great results? Hope to hear from you! Hi,I've dyed my hair with wella magma colour with highlights. The colour was too intense and i washed it off almost every day to let it fade.Now ,the colours got stripped off and my hair became almost white as if bleached.I want to colour it again evenly for warmer red hues.Will my hair get damaged if i dye it too often.Please ,help.I'm warm skin toned and natural brown hair. Hi. I had very light blonde balayaged hair with light ash brown natural roots. I dyed my hair 4rv on roots and 5rv from mid to ends. It was very purpley but has faded to a nicer color. But now I'd like to go to a rich cool dark brown without the purple or red tones. I have cool skin tone and green eyes so I'm not looking for warmth. Please help. Bleaching out/removing L'Oréal box color...is here anything to be worried about with this brand and bleaching/removing? I naturally have dark brown hair. I went through a phase where I dyed my hair shades of golden brown, sometimes a reddish brown. All permanent. It's been about a year since I've last dyed my hair because I am desperately trying to regrow my natural color. However, my old hair color is really bothering me. My hair length is midway to my back: the top half is natural, and the bottom is this disgusting brassy gold color. I absolutely hate it. I don't want to dye my hair again. What do you recommend to remove the old dye? Hi I had my hair coloured from brown and blonde high lights to Chocolate brown with red which is to dark I hate it. how can I go lighter again with out damaging my hair . my hair is a little dry at the ends. please can you help. I had my hair bleached from black to blonde and have been using violets and pink dyes ever since. The problem is that when they fade I'm left with a green tint to my blonde hair. Ive tried ketchup but that didn't work- is there anything else I can do? Went to my regukar stylist, My hair came out way too red for my taste ... She bleached my hair the top mostly since I had an ombre in and the top was dark is there a way to darken the red so it's more natural looking ish/ work appropriate. It's permanent dye and I keep telling myself that maybe I'm just not used to being that light... But it's border line hitting hot pink status ... Definitely not what I asked for .. Please help ! And how long do I have to wait it's only been a day..
Hello, yes? Um, my hair is currently dyed a purple tone with the product manic panic. However it has faded a lot over time there is still some spots with dark purple. School is about to start and I want to know how I can remove the rest of the dye without damaging my hair with bleach. So I can go and dye it red for the start of a new year in school. And some tips to keep my hair healthy as well would be nice. Thank you! I was born a blonde but over the years it started to turn darker into a red brownish color, so I made the decision to dye it blonde but the thing is it doesn't turn blonde it turns into this strawberry/ copper blonde color. I really do like the color but I would rather have my natural color back, and with the roots coming in I can see that my natural hair is pretty dark, I was just wondering if I could somehow flush out the color without damaging my hair in the process. I recently went from light blonde to red via manic panic amplified range. I've been using anti dandruff shampoo, vit c masks, dish soap and nothing is fading it. How do I get back blonde please. Is there a way without bleach? Hi I dyed my hair from the tips pink but when I took a shower it took off and it turned into a really light brown and I don't like it what should I do ? my real hair color is dark brown . Hi I have naturally black hair and colored my hair with brown highlights. Except they look orange/brassy, way too bright and I want to get rid of them. Ideally I would like my natural hair color back, if not at least make the highlights a dark brown so it merges with my natural hair color. Please advice, I hate the way my hair looks and I'm not sure if I should dye it black or use a color remover! Help I just dyed my mousy brown/blonde hair (which I had grown out all hair dye to my shoulders.) with a semi permanent 415 loreal casting creme dye in shade iced chocolate. (Dark brown with ash and mahogany.) the mahogany has made my hair look so red and barely visible is the brown. I was only wanting a hint of red. Now I want to get my hair to just a dark natural brown (one color with no red and my hair naturally has a brassy red undertone when color fades which is much more natural.) how do I correct the mahogany in my hair? I want to stay with semi permanent as I always used to dye my hair with permanents but they are too damaging. I dont mind about color fading and having to dye more frequently with semi permanent. Could your recommend what color would correct the mahogany brown for dark natural Brown? Also because I have a very light regrowth when I go to dye it dark brown at the roots will it turn out much darker (black) than if on regular brown hair regrowth that is darker. Is there a toner I could use on my hair to strip the mahogany semi permanent? If so what color would I need? Thanks so much appreciate your help! I know this sounds weird, but I've actually used Dawn dish soap to help get color out before. It didn't totally get it out but it did get a lot of it out. I dyed a black over my blond and it amazingly came out blue. I liked it, only one problem, 3 week after that, I relaxed my hair (as I need too), some areas turned back to blonde and some is left as a very vague blue (not cool man). So my question is: "Can I remove the dye 1 week after I relaxed my hair? Using the Vitamin C & Shampoo mixture or the bleach powder and warm water mixture. Will it cause more damage? Hi I previously bleached my hair awhile back to go purple but now I want to do a blue to purple ombre would it be okay if I bleached the top half of my hair so I can put blue on it?? Relating to my previous comment, my hair was originally dark brown if that happens to make a difference thanks! Demi-permanent is best for filling, or you can use a permanent dye. 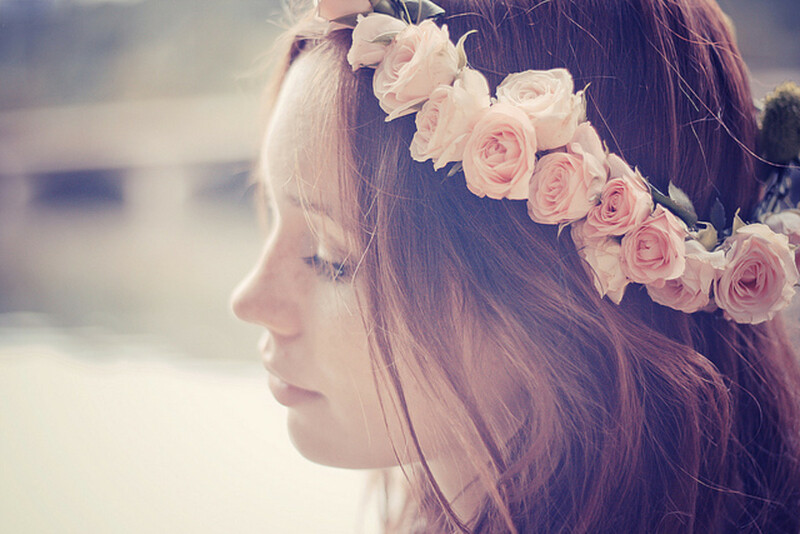 The semi won't darken your hair properly and the filled colour will rinse out quickly. Also, make sure that the red you're using is 1 - 2 levels lighter than the final colour you intend to reach (for dark brown, this means using level 5, which is light brown). The filler is to form a foundation for the final colour and this will not work properly if the dye is too dark as the final dye won't cover properly, leading to excessive warmth being present. As for the dye used to reach the desired shade, you should mix that dark golden brown into a dark natural brown to ensure it darkens properly and doesn't show up too warm. One part golden to one part natural shade is preferably to the golden brown by itself. That's perfectly fine. The blue you use just needs to be dark enough to cover over all that yellow pigment in order to show rather than blending and turning green. Another alternative is to add a dash of violet to the blue dye and this will neutralise the yellow to prevent mixing. Not too much though, or the blue will start to look purple. Fill first using either light red brown, or red protein filler, then apply dark natural brown after that for it to take properly. 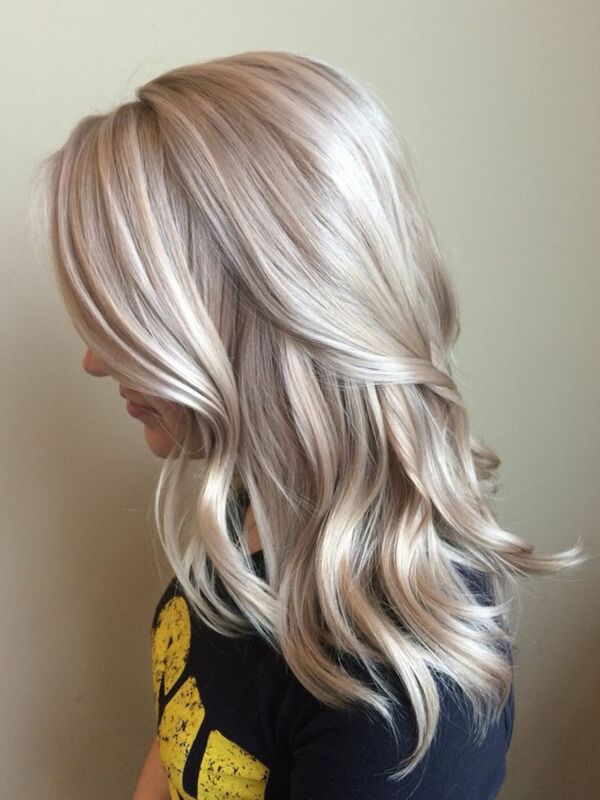 This process replaces the missing pigment that is lifted out when lightening to blonde; think of it kind of like the reverse process to get back to a darker colour. So I plan on buying a semi permanent red for a fill shade to neutralize the green and blonde in my hair than a dark golden brown to put on after that color. Does that sound alright? Hi bleached highlights in my hair yellowish blond and died it blue but came out a turquoise green instead. Have been fading it out but not much difference has been made in the color. Some areas are lighter greens but others are just bright emerald. I want to dye it back to my natural darkest brown hair color what steps do I need to take to accomplish this.l? I bleached my daughters dark blonde hair and colored it with a sky blue permanent color. Unfortunately the yellow tones of her bleached hair made it come out teal. She hates the color and wants it to be a true blue. Can I redye over the teal using an electric blue color to get an overall blue tine rather than teal? It depends a lot on how much your hair had been lifted. The fact that it looks dark golden blonde tends to mean that much of the red tone has been lifted out, and that is also why you get that green effect because the strong blue and green tones in ash brown dyes aren't properly balanced with enough copper and red tone. You can correct that by adding a small amount of these two tones to balance it out. As for getting to dark brown now, you can fill with light red brown first, then dye with dark ash brown, or you can simply dye over with dark natural brown. The natural tone contains enough red pigment that balance out as it darkens, but it will still look more on the ash side because of the lack of warmth to begin with. Filling and then dyeing will produce a richer result though. Hi!!! My hairdresser bleached my hair a few months ago and then put a mixture of dyes to get it to a dark ash brown color. She didn't put any red or orange tones prior to this and my hair turned green after 3 washes. I went to another salon to get it fixed but they did the same thing and now my hair looks like a dull dark gold-blonde with hints of green, what seem like golden tones are more mute, it just looks gray sometimes. Now I'm thinking of just box-dyeing my hair to save time and money. How do I go about this? I am trying to achieve a cooler shade of dark brown or plain dark brown. Do I still put a red hair dye first before applying a dark brown? Or should I just go with a dark brown hair dye? My hair has gone too golden after bleaching. I can never seem to get rid of the tone. 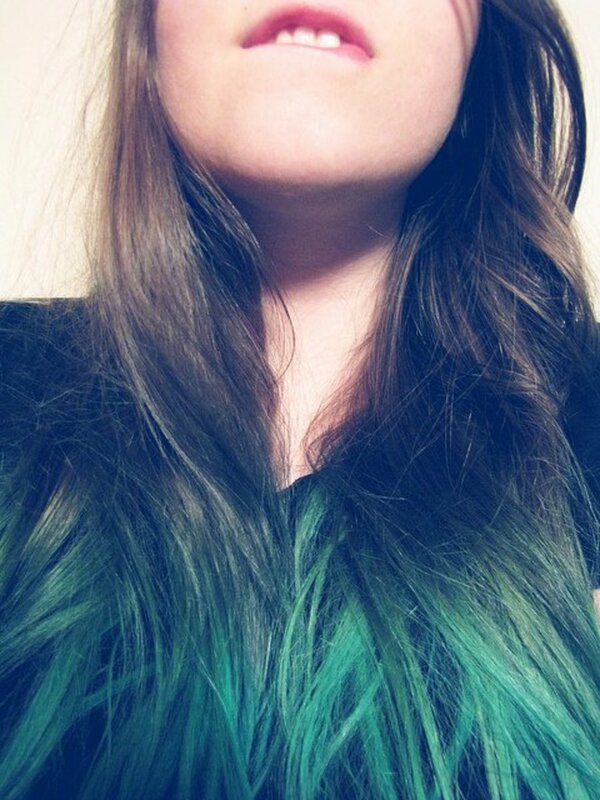 Can I dye it again with Belle Color 9.1, or can I just dye it a bit of a darker colour. What do you suggest for something just a shade or two darker. Not going into brown. Thank you Maffew. I have used semi permanent hair dye on my head it was after midnight blue i'm a natural blonde and have been dying my hair different colors for a while now the color underneath the dark blue is manic panic vampire red I have been trying to get it out of my hair for a week now I used suave shampoo and arm and hammer baking soda mixed together I did this a few times just to let it sit on my hair for a while and then wash it out for 20 mins at least its lighting up quite a bit but the blue is still there I now have dark blonde strips of hair going through it and would like to remove it completely with out using harsh chemicals such as bleach I wish I knew a better option I bleached my hair a while back and it melted half of my hair off which is why I don't like bleach any options ? Hi, I recently dyed my black hair with grey/white roots with a black Demi permanent color. The white/ grey roots turned purple! What can I do to counter the purple? Also, I would like to re-dye the roots again, with the goal of getting the purple roots black. Any suggestions will be so appreciated! Confused... I used a "platinum" box dye and my roots were white and the rest was a light yellow. I wasn't thinking and put an ammonia free "dark ash blonde" over it and my hair turned a murky/seaweed green. I then used "color oops" to get rid of the green, but it actually ended up becoming a nice light bleach/ash (hard to tell) blonde. My natural hair color is between dark blonde and light brown possible golden tones. Any idea on why this might have happened and what color in the future would be best to achieve the same effect without going through this process? If it helps the last time I tried using a dye with "ash" in it on undyed hair it turned reddish/orange. Hello, so I've been researching and trying to find a solution for so long now. For the first time ever in August 2014 I chose to change my hair. I wanted an ombre where it'd go from my natural black hair to a brown then dow to a blonde at the bottom. Sadly I did not do as much research as I have ever since which i truly regret. I went to a salon and all they did when I told them what I wanted was apply a lot of bleach. I wasn't aware that I had to have my hair bleached since it was dark for the ombre to work. I sat there with bleach at the middle and a lot of bleach at the ends of my hair with it just wrapped in plastic wrap. After being washed out and dried ,it was what I had wanted. But shortly after, the blonde wasn't the same. It became an orange and I didn't tone it. Overall I got tired of the ombre and the length so I ultimately chose to cut it in May 2015. Then my hair was at a length that was just past my shoulders and it was my natural black hair going into a brown with a single strand at the back of my head that was still bright blonde. A few months later at the end of July I chose to apply a burgundy box dye. I originally wanted to get a dye that was a really nice burgundy but it was a for dark hair only color so I wasn't sure if I'd get the same results as I saw people with truly dark hair get, plus I wasn't able to find it in the short amount of time I had. I used a garnier burgundy box dye to apply to the ends of my hair where they were brown from the ombre bleach. Then I used a revlon burgundy box about 2 months later in the same way. Then I reapplied the same revlon dye days before New Years. The top of my head with my roots has never been touched so far. I have no bleach or dye applied at the top, it's all naturally black. Now I am unsure about what to do. In the past weeks/months I've done different treatments to take care of my hair. I've tried oils, masks and deep conditioners. But still it looks like all my hair is covered in split ends. I have so many, it looks like every single strand is a split end now and I am completely lost in how I can fix this. My hair in regular light looks normal but under artificial and natural light I can see the faded red that makes my hair look dead especially with all the split ends. Even the blonde strand covered with dye seems to be fading back so its almost a random blonde stand of hair. I also have thin hair that keeping falling out strand by strand. I'm unsure about what will be safe for my hair anymore. I want the red/burgundy out. I want it to be healthy again so I can properly change up my hair without it being damaged. Maybe after that I could plan what I want to do next. I just really need advice in what I should do. I'd really appreciate it if you would help me. Just a quick question - so after reading the article, for taking out permanent black dye from brown hair i need to use color remover and then wash my hair with clarifying shampoo twice with more than the usual dose conditioner afterwards..? Maybe repeat the process if need be after a week or so? The orange tinge is due to the lightening that has occurred, and the shade used. All permanent dyes lighten your natural pigment, even if using a shade that is darker than your natural colour, however with a darker shade you don't see this because the pigment from the dye replaces what has been lost during processing. With a shade at the same level or lighter, this lift is visible and will reveal the warm base tone underneath your natural colour. Ash tone is required to counteract the appearance of this base, but because a caramel shade is warm, rather than ash, it does nothing to neutralise the warmth that is occurring during dyeing. To correct it, use ash brown dye at the same level or 1 level lighter than the caramel brown to add cool tone back in and neutralise the orange. This means, if the caramel brown was a 'medium caramel brown' for example, you would need to use medium or light ash brown as the toner. Apply this, process until you like the tone, then rinse. The longer you leave it (up to full development time at maximum), the more warmth will be neutralised. I'd also recommend that if using a permanent 'box dye' for this, throw out the developer provided and use your own 10 vol developer with the dye. This will prevent further lightening from occurring during toning (and also reduce damage greatly). Otherwise, also feel free to use demi or semi-permanent dye in the correct ash shade as the toner instead as neither will lighten further. You can apply semi-permanent dye as often, and whenever you want for the most part because it is completely non-damaging. Permanent dye should at least be left until natural oils have reappeared before applying, at which point it's fine to apply a new dye if the hair is in good condition. Demi-permanent can be applied whenever, as long as the hair is in good condition. Hi, I'm trying to go from dark red (wella red and brown mixed) back to my natural honey wheat blonde. What process should I do for the best results? I know stylists have needed to use toner since my hair naturally pulls like a red copper color. Thank you for any help. hello I dyed my hair a blue violet in October and then dyed it hot pink briefly before dyeing it more of a true violet in December my hair is starting to fade but I need to return to a natural color for a job and I really don't know what to do my hair is naturally dirty blonde but I bleached and toned it platinum before the purple I used manic panic and beyond the zone so I can't use color strippers and I know bleaching won't take all the pink out please help! This occurs because your hair is very dark. There is very little lightening, so you still get some of that mahogany tone showing through the dark hair, but it won't ever look the way it should if it hasn't been lightened far enough. Ideally, with hair as dark as yours and your desire to reach a light brown result, and given the previous reaction to dye, you'd get the best results bleaching it to pre-lighten and then dyeing it once it is light enough. For a light brown result, you want to lift it to orange before dyeing for the dye to take properly. However, keep in mind that after pre-lightening, you are dealing with a very warm base colour showing through, and you need to correct this when dyeing to mahogany by mixing ash dye into your chosen shade to balance out the tone and prevent it from being too warm. I made the mistake of buying SPLAT's "Lusty Lavender" hair dye because it was cheaper than buying bleach, toner, and purple dye from Manic Panic, and despite bleaching my hair, the dye turned my hair FUSHIA, which is the most VILE color to ever exist and NOT what Ipaid for. Would Manic Panic's Flash Lightning bleach (the 40vol stuff) and Virgin Snow toner get it all out? I've been using clarifying shampoo for oily hair every time I shower, and after almost daily showers for nearly two months, the color has FINALLY stopped bleeding. Or would my best bet just be to use a black dye from Manic Panic to cover the gross color and hope that it removes said gross color as it fades? Hi, I have natural dark brown hair, I bleached it my self two times and got an orange yellow color ( not the roots only ombré) then I toned my hair with box dye (mistake) light ash blonde and got a greenish gray color. What should I do now to make it more natural and not green and gray.. or how should I take out the green and gray tones out? Thanks. Hi my ends of my blonde hair are green from the ash colour i had on. I want to go silver but ny test strand for the colour makes my hair even greener. I have used ketchup and a pink/red condioner dye too. If i bleach it would that work for applying a silver dye over it? Hi my hair is a deep violet colour semi permanent dye. I am naturally blonde but have not been blonde for about a year. I want to go dark brown i put a dark brown semi hair dye on today and my roots have gone brown but i still have a very dark purple tone to my hair. My hair is naturally a dark blonde to light brown shade. I have been dying my hair for the past 5 years. I have been everywhere from platinum blonde to black. For the past months I have been a medium to dark blonde color. I was getting tired of it so I decided to dye it a dark burgundy. I used Garnier Nutrisse permanent deep burgundy dye. This color turned out way too dark purple for my liking. A few days later I dyed it with Garnier Nutrisse Ulta dark intense auburn dye. It turned out a decent vibrant red color. I rocked that for about a month and got tired of it. I decided to use color oops to remove it. My color came out an orangish brassy color (which was to be expected). I went ahead with a medium ash blonde to color correct. My hair turned gray at the roots till about half way down my head. The rest of my lengths were a purplish gray. I went to a salon and they put some type of wash on it. My hair turned a beautiful strawberry blonde color. I loved the color and had it till my roots started coming in. While it was strawberry blonde I could see that around my top of my head some parts near the roots had a lot more red than the rest of my head. When my darker roots started coming in, I decided to dye my hair using Clairol natural reddish blonde. My roots and lengths turned a copper/blonde color and the top part of my hair is red. It looks like an ombre of red to copper. I want to be get rid of the red at the top of my hair. I don't want to go too dark. I would be happy with a lighter brown shade. I just want to get rid of the red. The copper color at the bottom is fine and at my roots. If I use color oops, will it help? If I use clairols natural light brown color (6) what will it do to my hair? I planned to leave it on my roots and lengths for 30 minutes and on the red part for 15. Thanks for any help you can give me!